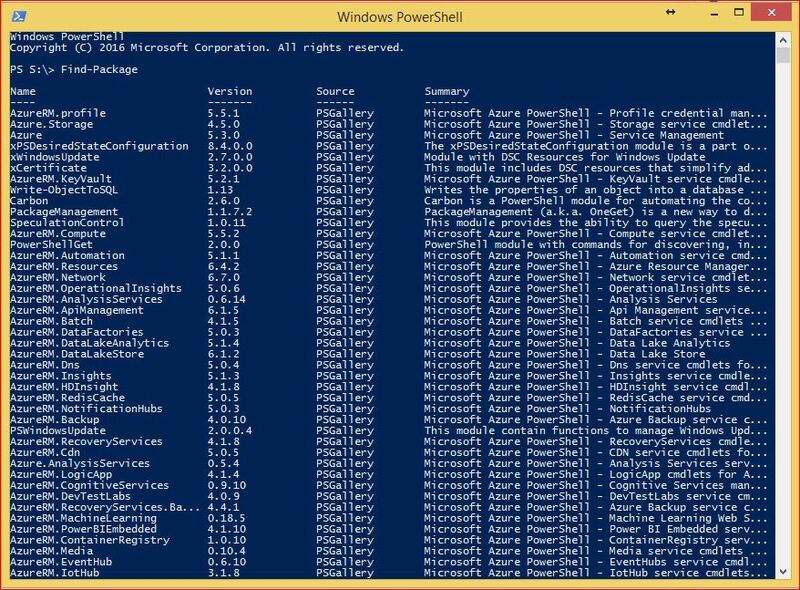 In this tutorial we will see about PowerShell PackageManagement and how we are able to use it. PackageManagement is also known as OneGet. 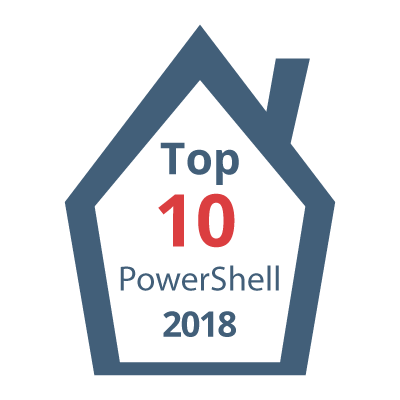 PackageManagement has been introduced in Windows PowerShell 5.0. PackageManagement comes with Windows 10 and Windows Server 2016. It is a unified interface to package management systems and aims to make Software Discovery, Installation and Inventory (SDII) work via a common set of cmdlets (and eventually a set of APIs). Regardless of the installation technology underneath, users can use these common cmdlets to install/uninstall packages, add/remove/query package repositories, and query a system for the software installed. Package manager – Software package management system. In PackageManagement terms, this is a package provider. Package provider – PackageManagement term for a package manager. Examples can include Windows Installer, Chocolatey, and others. Package source – A URL, local folder, or network shared folder that you configure package providers to use as a repository. Package – A piece of software that a package provider manages, and that is stored in a specific package source. Now lets see the the cmdlets that PackageManagement provides you, in order to manage software on our systems. Find-Package – Finds software packages in available package sources. 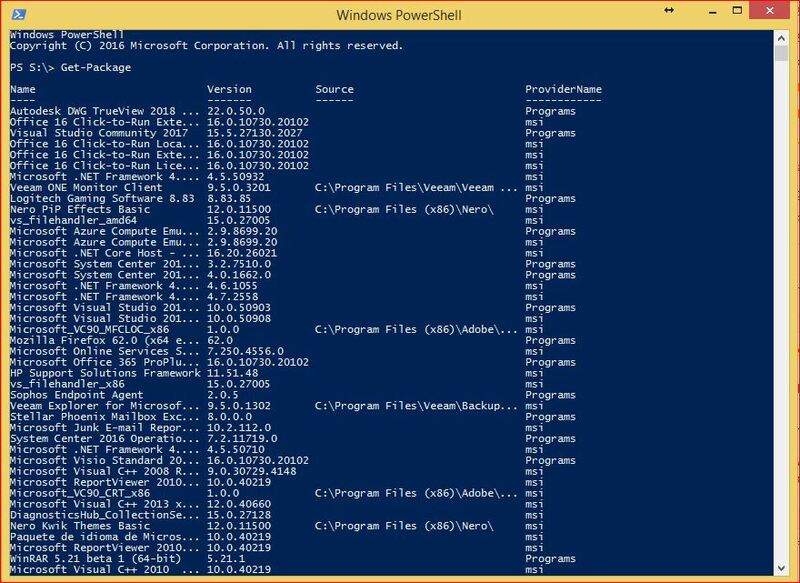 Find-PackageProvider – Returns a list of Package Management package providers available for installation. Get-Package – Returns a list of all software packages that have been installed by using Package Management. Get-PackageProvider – Returns a list of package providers that are connected to Package Management. Get-PackageSource – Gets a list of package sources that are registered for a package provider. Import-PackageProvider – Adds Package Management package providers to the current session. Install-Package – Installs one or more software packages. Install-PackageProvider – Installs one or more Package Management package providers. Register-PackageSource – Adds a package source for a specified package provider. Save-Package – Saves packages to the local computer without installing them. Set-PackageSource – Replaces a package source for a specified package provider. Uninstall-Package – Uninstalls one or more software packages. Unregister-PackageSource – Removes a registered package source. From PowerShell 5.0 and later, PacakgeManagement is included. You may have to update the module. From the screenshot above we can see that the version that I have installed is 1.1.7.2. Currently the latest stable version is 1.1.7.2. PackageManagement 1.2.0-preview is also available if you would like to install it. If you already have PackageManagement installed and you want to update your current installation to the latest one, then you need to use -Force parameter. If you do not use -Force parameter, it will give you an error that module is already installed. The above tutorial is a basic information about PackageManagement that can help you manage software packages on computers and servers. It would be good to check it further in order to understand better what you are able to do with it. In related links section you are able to find links with a lot of information related to PackageManagement. I hope the tutorial about PackageManagement is helpful. It’s cool to see Microsoft is unifying all these package sources in 1 simple to manage toolkit! Thank you for your comments. I have checked your article also. Nice write-up too. For sure, unifying all these package sources, is a good thing for usability.